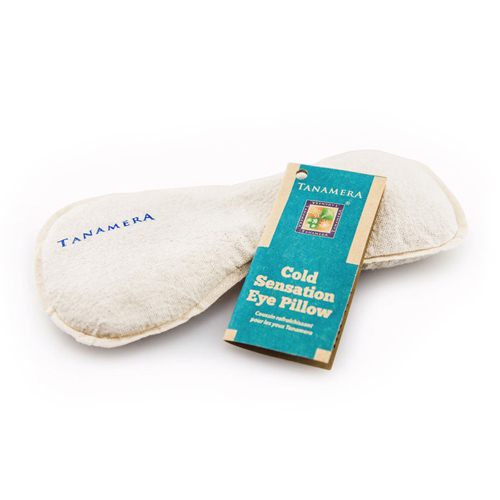 Chill the eye pillow in the refrigerator. Remove the plastic cover and put over eyes for a cooling effect. Store in the cotton bag and keep in the refrigerator for future use. Tanamera, in the language of the Malays, literally means Red Earth, an appropriate name for a range of products whose raw materials are sourced from the rich soil of the tropical rainforest. Their unique products are formulated as naturally as possible where the use of artificial coloring, perfume, chemical actives and preservatives is avoided. Their range of products is created with great care based on Asian tropical spa treatments and are packaged for home, travel and professional spa use. The Tanamera logo exemplifies what they are about, a natural, eco friendly brand that draws inspiration from traditional Asian treatments complemented by tropical herbs and essences.